(Android One) if it get brick or has already gotten bricked. flashtool and disconnect your phone then power it on and see the magic. 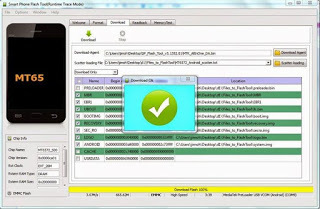 You cannot swap your iPhone imei to blackberry… the tool isnot supported. Yomiprof, pls i need cwm recovery img for infinix hot x510, both mtk droid tools and philz recovery are not working, please. Prof I have an unrelated question here tho. I downloaded dd lollipop rom for my hot pro from d x club. can I flash it in with my phone instead of using SP flash tools or a computer? Yes you can if you have CWM installed on your device. Morning Prof. Please I seriously need your help prof.
My Infinix hot note (1GB RAM, 16GB ROM) got bricked trying to run the system upgrade. I removed the root access before trying the upgrade, but the problem is I didn't install a recovery on the phone before it got bricked. Though at some point the phone was booting into stock recovery after the brick, that has now stopped. I downloaded some scatter files and CWM recovery image for the phone online and tried several times to flash the recovery on the bricked phone but it failed (keeps giving "BROM ERROR S_DL_GET_DRAM_SETTINGS_FAIL"). Now the phone is totally dead. It doesn't boot to stock recovery again, it doesn't show battery sign again when charger is connected. But when you connect to a computer the USB recognizes the phone. Please prof how can I fix this issue? I'm eagerly awaiting your response sir. if USB recognises the phone, does it detect on SP Flash tool? if yes, follow this same step with hot note rom to restore it back. Since it's available, don't be scared at all. Unroot your phone if it's rooted and make sure that you are running on stock recovery. 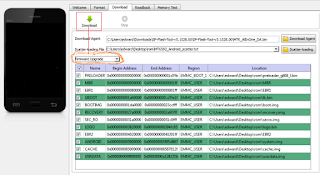 If you've never tweaked or installed cwm on ur device before, then you are on stock recovery. Once you've done that, you are free to upgrade. Hello prof, good job u r doing her n morr grease to your elbow, pls my infinix hot 2 510 refuse to play music after downloading es explorer, the default music player is saying error, even the es explorer is not playing, pls help cause I just bought this phone yesterday. did u downgrade the phone from lollipop 5.1.1 to lollipop 5.1 before rooting it using kingroot? Hello if you've downloaded 5.1, use your PC to install it using SPFlash tool to install it. follow the steps above. I got the requirements then I started flashing my infinix hot 2 at first I flashed the recovery button enabler it was successful then secondly I tired flashing the twrp scatter file then my the application was not responding so I had to disconnect my phone which means I interrupted the flashing I tried charing the phon with the pc it did not bring it battery sign or did not even boot so yesterday I downloaded the stock rom then flashed the scatter file after doing that I plugged the phone to a power outlet since then it would blink the battery sign then it would go off if I hold the power button down it would bring the infinix logo the go off it has been happening since I flashed the stock rom scatter file which was yesterday. I have added a video of it in an an atachment below already please I need your help!!!!!! sorry about what you are passing thru… Obviously, it was the interruption that is causing you all this stress. My advice, download Android 5.1 and not the stock rom. Flash it with it and your device will be okay. i followed the step but the spflashtool was just showing processing for hours after selecting the scatterfile. please assist.